You might find a pet sitter for your dog or your cat when you want to go away on a trip, but that is hardly the way to go if the only pets you have are water creatures living in an aquarium. 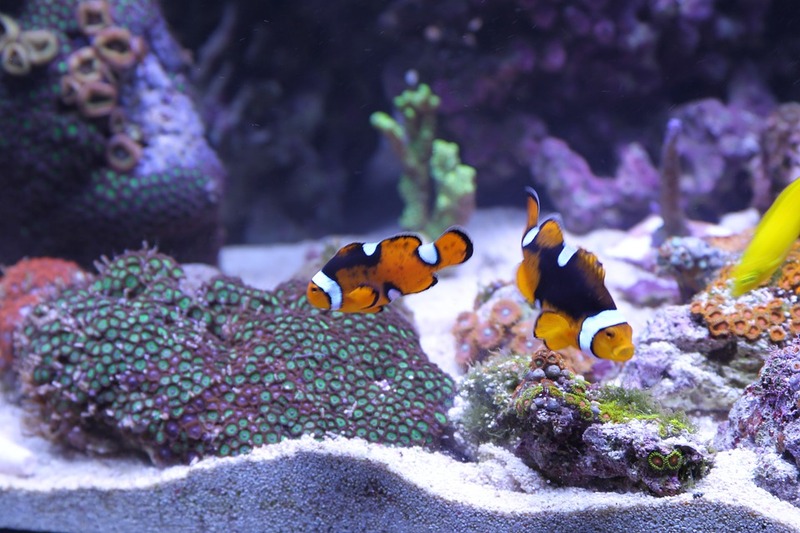 Here are some tips on how to take care of your aquarium and your inhabitants even if you are away. Of course, you can always enlist your best friend’s help to feed your fish when you are away, but can you count on someone who has never cared for fish? Overfeeding can be a real problem for many fish species, and that is why the option of an occasional helper is not that wise an idea. Don’t worry, the alternative does not mean you have to let your fish die of hunger. The real option to consider here is getting an auto-feeder. You can load this with all the betta foods you might need to feed your tropical fish and let it work instead of you, keeping your place when you are away. You will be able to schedule how much food your fish will have, and act as your replacement for real. There is one thing you should do, however. When you get the auto-feeder, test it for a few weeks, to see how it works and if it works well. This way, you will be able to enjoy your vacation and your peace of mind. Even if your fish live in a tank, they still need oxygen, and an air pump is usually used for this purpose. The best advice is to get a battery-operated pump that will live through power failures and keep the water in your tank well oxygenated so that your fish can breathe easily. Besides adequate levels of oxygen, there is another living parameter for an aquarium that must be taken into consideration: temperature. Especially if you have tropical fish, these will require warmer water, which is why using a heater is often recommended. Heaters tend to be a bit unreliable, unfortunately, and there is a possibility that they might break. You should get a backup heater and install it on your aquarium, to avoid such mishaps. This recommendation is an option for people with a packed schedule, and it serves when you are away, as well. Lights that change automatically to imitate the day-night cycle will help your fish stay healthy and happy. Many fish love to complement their diet with vegetal options, which is why a good idea would be to have your aquarium decorated with some live plants before you leave home. Your fish will love swimming around and feeding off these plants that will provide them with the necessary nutrients for a proper, balanced diet.